How Severe Is Venezuela’s Crisis? It’s deep but not cataclysmic, and mainstream US media have consistently exaggerated the extent of it. Is Venezuela descending into a nightmarish scenario, as these stories suggest? To answer this question I’ve spent the last three weeks talking to dozens of people—rich and poor, Chavista and opposition, urban and rural—across Venezuela. 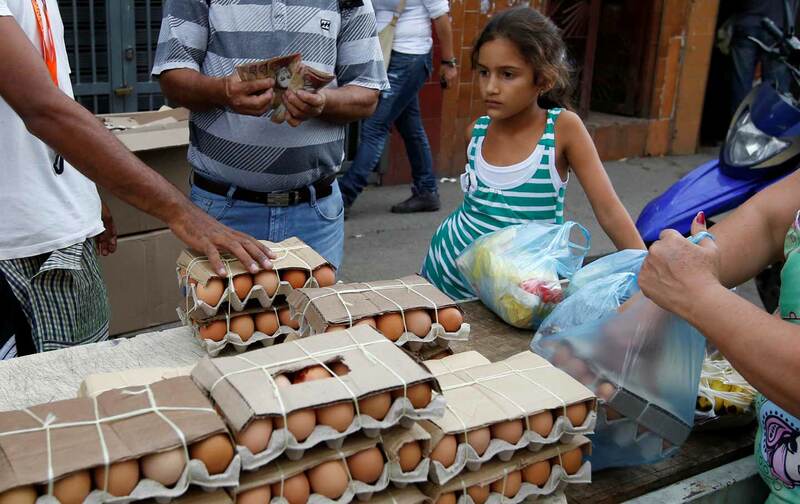 My investigation leaves little doubt that Venezuela is in the midst of a severe crisis, characterized by triple-digit inflation, scarcities of basic goods, widespread changes in food-consumption patterns, and mounting social and political discontent. Yet mainstream media have consistently misrepresented and significantly exaggerated the severity of the crisis. It’s real and should by no means be minimized, but Venezuela is not in a state of cataclysmic collapse. Accounts suggesting otherwise are not only inaccurate but also dangerous, insofar as they prepare the ground for foreign intervention. This week the Permanent Council of the Organization of American States is holding an emergency meeting to consider OAS Secretary General Luis Almagro’s invocation of the Inter-American Democratic Charter against Venezuela. This action is taken against countries that have experienced an “unconstitutional alteration of the constitutional regime that seriously impairs the democratic order in a member state,” and can lead to a country’s suspension from the OAS. The Venezuelan government, which despite some foot-dragging has allowed steps toward holding a recall referendum against President Nicolás Maduro, vigorously rejects this charge, as do many OAS member states. It is worth noting that the OAS has not invoked the Democratic Charter against Brazil, which recently experienced what many OAS member states and prominent Latin American observers see as a coup. In Caracas, the streets are crowded, the metro is working, and free public-health clinics are functioning normally. Within days of my arrival to Caracas a few weeks ago it became clear that while life in Venezuela is far from normal, and many are suffering from the crisis, mainstream media images of a country in utter disarray are clearly overstated. Far from being empty, Caracas’s streets and highways exhibit the same pattern of heavy car and foot traffic found in other large Latin American cities. The metro feels as crowded as ever. Restaurants in the affluent neighborhood of Las Mercedes are jam-packed and have been for weeks, according to friends who live in the neighborhood. 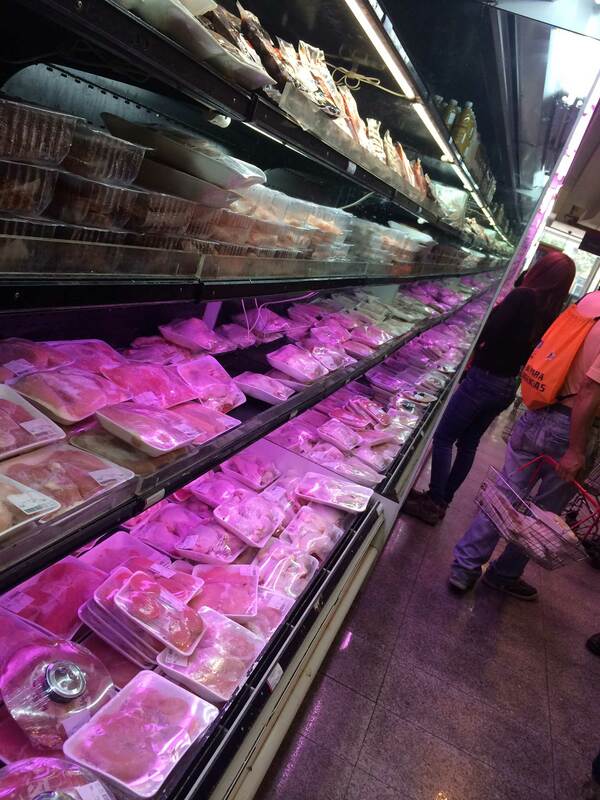 The shelves of private supermarkets in Las Mercedes and other affluent neighborhoods are full, with plentiful chicken, cheese, and fresh produce. The Wendy’s down the block from the apartment I’m staying in has been full most times I’ve passed it, including on a rainy Sunday night when a steady stream of customers passed through. Beer has not disappeared (and will be available for at least the rest of this year). And I’ve even had multiple Coca-Cola sightings. There are other signs Venezuela is not “in a state of total collapse.” No one I’ve spoken to has positive things to say about public hospitals, which are seen as corrupt, understaffed, and lacking supplies, which hospital staff allegedly steal and resell. Yet, I’ve heard abundant praise for, and more measured critiques of, free public health clinics (Centro Diagnóstico Integral, or CDIs) and physical therapy centers (Salas de Rehabilitación Integral, or SRIs), which are open throughout Caracas and in cities in the interior. Several opposition supporters from Petare, one of the largest barrios in Latin America, told me of a CDI they go to “that provides a really great service.” I visited a sparkling-clean SRI in Carora, a city of 100,000 in the central-western state of Lara. The center (one of four in the city, all of which are open) treats 80 to 100 patients a day, and I was told all machines were in working order. 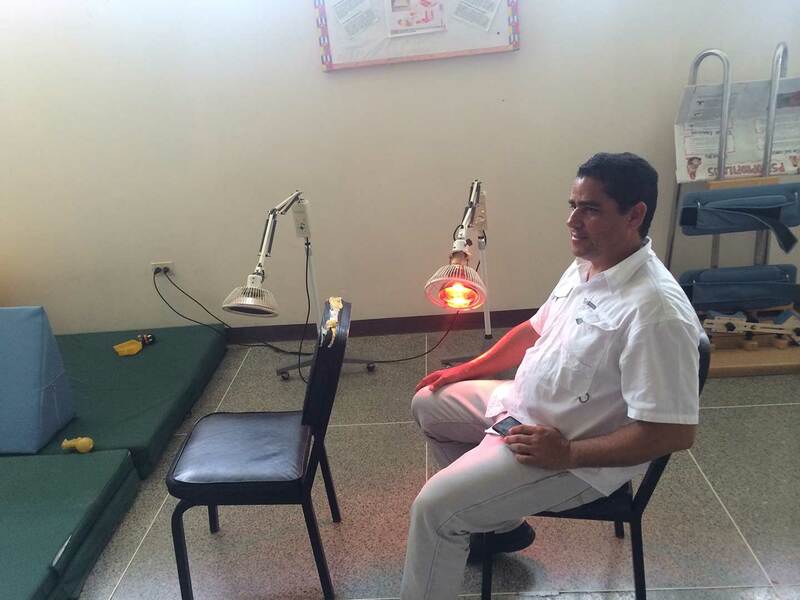 Ramón Suárez, a backup Lara state assemblyperson for the ruling United Socialist Party of Venezuela (PSUV), has been receiving near-daily treatment at this SRI since suffering a hand injury in December. He told me, “Without the SRI I couldn’t have recovered,” explaining that treatment in private clinics costs 3,000-4,000 bolivares a visit. This would have consumed almost all of Suárez’s salary of 80,000 bolivares/month, which is almost triple the minimum wage (approximately 15,000 bolivares/month plus 18,000 bolivares in food tickets). The Times’s assertion that “huge areas of the country have spent months with little” electricity is belied by the facts. In April the government took a series of measures to combat an electricity crisis, caused by Venezuela’s worst drought in 47 years, and extremely low electricity rates, which led Venezuela to have the region’s highest per capita electricity consumption. To restore water levels in the Guri dam, which supplies roughly 70 percent of Venezuela’s power, the Maduro administration closed select government offices for one, and then three, days a week; closed schools on Fridays; and rationed electricity in most the country outside Caracas. As of last week, government offices are again open five days a week, albeit on a reduced schedule (8 am-1 pm). Schools are again open on Fridays. Electricity rationing, which occurs for three hours a day on a rotating schedule in interior states (meaning electricity is and has been available for twenty-one hours a day in these areas), remains in effect during the week but no longer on weekends, and may soon end altogether. The government says these recent changes (which bring Venezuela back to a state of semi-normalcy when it comes to electricity) are possible because of the success of rationing, which, alongside recent rains, has allowed water levels in the Guri dam to return to near-normal levels. Food and basic-good scarcities have grown significantly worse over the last year, in part due to inflation. Venezuelans are not experiencing mass starvation, though a small but growing number of families are in critical situations of chronic hunger. Lalo Paez, the director of the Office of Citizenship Participation in Torres municipality, where Carora is based, says five of the 503 families living in his hometown of Los Arangues (20 minutes outside Carora), “are in a critical situation.” Paez recounts seeing “people gnawing on sugar cane” because they have nothing else to eat. He estimates that half the town’s population eats just twice a day. A teenager from Los Arangues told me five of the roughly 50 students in his high school class regularly complain to the teacher about being hungry. Paez links residents’ suffering to scarce employment and little water, which inhibits gardening. Sicarigua, a town just down the road from Los Arangues, is faring much better. Workers from Hacienda Sicarigua, one of Torres municipality’s largest haciendas, which produces sugarcane and cattle, say, “We’re eating well.” This is due to three factors not present in Los Arangues: regular income for most town residents; a daily allocation of two glasses of milk “for everyone who works on the hacienda”; and access to water from a nearby river, which has allowed local families to cultivate vegetable gardens. As with food, there are scarcities of many medicines, particularly for more specialized conditions. 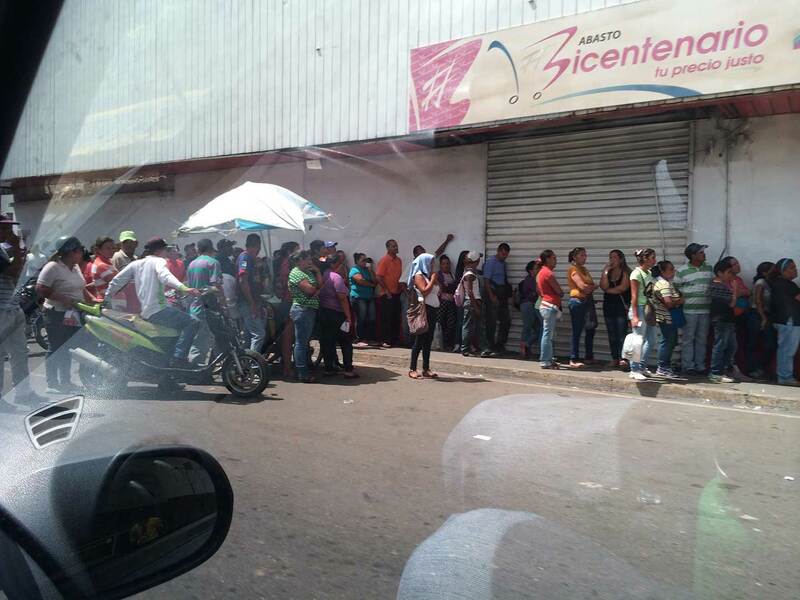 Besides food, a key source of anxiety for many Venezuelans is access to medicine. As with food, there are scarcities of many medicines, particularly for more specialized conditions, such as cancer, diabetes, and high blood pressure. These scarcities are due to the country’s lack of sufficient dollars to purchase imports (a problem related to the government’s inability to effectively tackle the currency exchange issue, as well as the plunge in the price of oil over the last two years), and to bachaquerismo, the practice of buying price-controlled food, medicine, and basic goods and reselling on the black market at rates ten to fifty times higher than official prices. Over the last few weeks the discontent generated by chronic scarcities has boiled over into acts of looting. On several occasions, people I was speaking to received texts during the conversation alerting them to nearby instances of looting. The first time this occurred was on June 7 in Carora, while I was talking to Myriam Gimenez, a grassroots activist who continues to support Chavismo. Gimenez blamed the looting on the opposition, showing me texts purportedly providing evidence that this was part of a destabilization plot. Gimenez also said, “This is the first time this has occurred here.” On another occasion, several Petare residents I was meeting with received texts suggesting there were “disturbances” occurring at the Palo Verde metro station in Petare. Within a few minutes, one of the women managed to speak to someone in the Palo Verde metro station who said the rumors were false and all was calm there. The government has lost significant support, but this has not translated into greater support for the opposition. These examples highlight the growing, generalized sense of anxiety felt by Venezuelans throughout the country. But my firsthand experiences, and daily perusal of Venezuelan newspapers, provide no support for the idea that Venezuela has descended into chaos. Looting is happening, but in a sporadic rather than generalized manner. Yet people are certainly ready to believe looting is occurring, and are not shocked by news of it. I heard similar sentiments elsewhere. For example, a taxi driver in Carora said he used to support the government but could no longer do so because it has not been able to provide solutions to the crisis. Yet he also criticized the opposition, saying, “We know what they brought [in the past] and it wasn’t good.” I asked him whom he supports. He replied, “Ni uno, ni otro,” neither of the two options. Like rice, shampoo, black beans, and many other products, it is not easy to find hope in Venezuela these days. Yet there are sparks throughout the country. Confronted with the increasing challenges of obtaining food, many Venezuelans are taking matters into their own hands, and backyards. 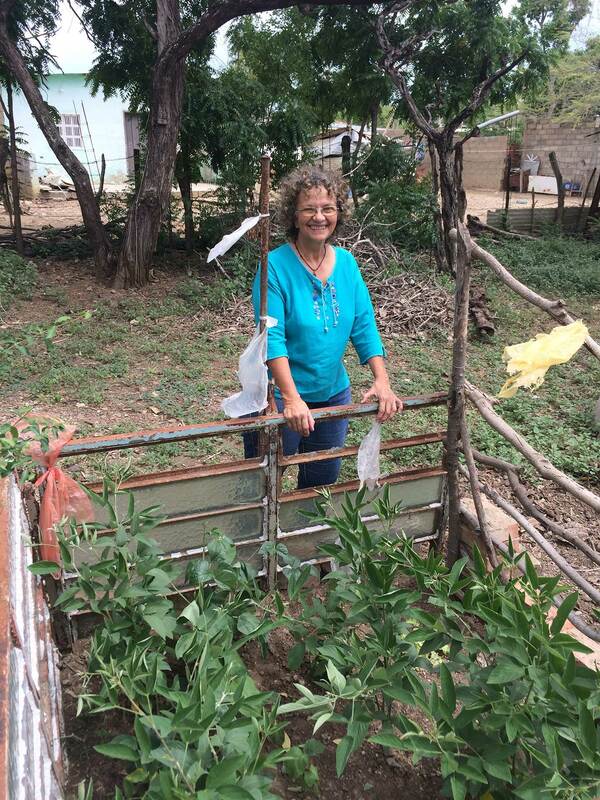 When I arrived at her house in Carora, Myriam Gimenez asked, “Has Victor [her husband] shown you the garden?” When I said no, she led me to her backyard and proudly showed me various crops, including black beans, peppermint, and medicinal oregano, which she and Victor planted since my last visit in December. Pointing to cornstalks in her next-door neighbor’s yard, Gimenez said, “Everyone on the block is planting now.” Gimenez also says that bartering has become increasingly common as a way for people to get what they need. There are grassroots efforts to “rescue Chávez’s legacy” and forge an alternative way of doing politics. Grassroots struggles are necessary but will not be enough to end Venezuela’s deep crisis. Economic policy changes are sorely needed. In the long term, Venezuela must make a serious effort to address its chronic dependence on oil, which makes the country so vulnerable to fluctuations in the global economy. In the short term, the government must address the currency crisis. In contrast to The New York Times’s recent assertion that “the Maduro regime has been unwilling to even contemplate” needed economic reforms, the government has been engaged in recent discussions with a team of economists from UNASUR, the Union of South American Nations, about a macroeconomic plan to help stabilize the economy and trigger economic growth while protecting vulnerable low-income sectors,” according to an adviser involved in the talks. The core of the plan would be a free float of the bolivar, which would eliminate the current system of three separate currency exchange rates, the two official rates and the parallel rate. Advocates of the plan believe that this will provide greater economic stability and, crucially, eliminate one of the main sources of corruption, the syphoning off of preferential dollars by corrupt businesses, often in cahoots with state officials. The UNASUR plan also calls for creating a universal “socialist card” that would allow citizens to buy goods, the prices of which would no longer be directly regulated, at reduced rates. The hope is that this would protect the poor while minimizing opportunities for corruption. Maduro has not yet agreed to this plan, but those with inside knowledge say they are “cautiously optimistic” about the government’s commitment. Whether it will be enough to get Venezuela out of its severe crisis is an open question. To have any shot of doing so, the government will need to calm citizens’ nerves, and assure them that it has the ability to provide for their needs. The current domestic and international climate of fear-mongering, with escalating calls for foreign intervention and exaggerated predictions of Venezuela’s imminent demise, is far from propitious. Instead of encouraging imperial interventions that will only make change more difficult, the international community, including foreign journalists, should be working hard to provide accurate information about the dire, but not apocalyptic, situation confronting Venezuela. Gabriel HetlandGabriel Hetland is assistant professor of Latin American, Caribbean, and US Latino Studies at University at Albany, SUNY. His writings on Venezuelan politics, participatory democracy, capitalism, labor, and social movements have appeared in Qualitative Sociology, Work, Employment and Society, Latin American Perspectives, Jacobin, The Nation, NACLA, and elsewhere.